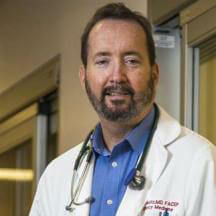 Michael Weitz graduated from USC in 1980 and received his M.D. from The Chicago Medical School in 1984. He did 2 post graduate years at Cedars-Sinai in Los Angeles, one each in Internal Medicine and General Surgery before completing the UCLA Emergency Medicine Residency Program in 1990. He became Assistant Professor of Medicine at UCLA and a part time faculty member in the Department of Emergency Medicine at UCLA/ Olive View Medical Center. He won the prestigious Golden Olive Award for excellence in teaching for three consecutive years. He has been the Associate Director of the Emergency Department at Saint John’s Health Center in Santa Monica, California since 1994. Michael is a lung cancer advocate and is himself a lung cancer survivor since 2006.